The story that follows is a rough draft of chapter four in Saving Deborah (the fifth book in the Defense of Reality Series). Please excuse all typos. “Well, let’s get moving before some other creepy old lady threatens us with certain death,” Simon said. Miriam sighed. “I think I need to open it first,” she said, flipping her backpack around to her front. “Not here,” Simon said with a nervous expression, watching the morning traffic rush by. “Let’s duck into the park,” Miriam said, grabbing him by the hand. They took a small paved path to the right that led them into the park. There wasn’t anyone in sight. The freezing temperatures and early hour had emptied the place out. After walking thirty yards, they came to a fork in the path that was flanked by benches. Miriam took a seat. The wood was so cold she could feel it through her jeans. She stared at her backpack, trying to convince her hands to move. “That’s a lot of guards. But it won’t be like last time. This time, you’ve got me,” Simon said putting his arm around her. Miriam grabbed his hand and laced her fingers with his. Bowing her head and closing her eyes, she breathed deeply and then said, “Lord Jesus, please. Please, God.” She didn’t need more words than that. She knew that He knew what she needed. She and Simon sat for another second together in silence. In her mind, a seed of determination took root. She opened her eyes and unzipped the backpack. Pushing the clothes aside, she slowly pulled the box from her bag. She sat it on her lap and looked down at it. It didn’t look like anything special. Just a decorative box. She rubbed her hand over the top of it, letting the designs run across her fingers. “Hold up,” Simon said. Looking past her, his face had gone from worry to concern. Miriam looked in the direction Simon was staring. Her breath caught in her throat. A short woman in a black stocking cap and a heavy jacket was watching them. Her bright green eyes seemed to shimmer in the morning sun. She was twenty-five yards away down the left side of the fork in the road. Two men appeared down the right fork. One was stocky and had lighter skin. The other was taller and thinner. They too wore black stocking caps and heavy jackets. Both looked like they needed a shave. They glared at Simon and Miriam, looking as if at any minute they might charge them. “We’re surrounded,” Simon said, looking in the other direction. Miriam gripped the box tightly as she looked the other way. “Oh God,” she said. Miriam looked in both directions again, weighing her options. There was nowhere to run to, and while she knew Simon could dodge them forever, she’d never actually see him hurt anyone. She looked down at the box. “You need to move. They’re all around you,” the blond one said, still holding out his hands. Miriam swallowed and looked down at the box again. She placed a hand on the top and said a silent prayer; but before Miriam could crack the lid, she felt the air around her move away, like the tide pulling away from the shore. Five yards from Simon, a small pink spot of light appeared. It began to swirl and grow. Simon leaped away from it. Four more appeared. They were all around them. Each started small and began to grow. Horrified, Miriam looked from one to the next. She thought she could make out large figures standing in the pink light. “Open it!” Simon yelled, raising his hands to prepare for a fight. Miriam glanced up and saw that the four strangers were charging them. They moved toward Miriam with alarming speed. Glancing at them, she thought she could see fear and panic in their eyes. She felt the seed of determination in her soul again. Closing her eyes, she held the box with both hands and open the lid. She heard a loud banging noise and the world around her disappeared into a hazy fog. 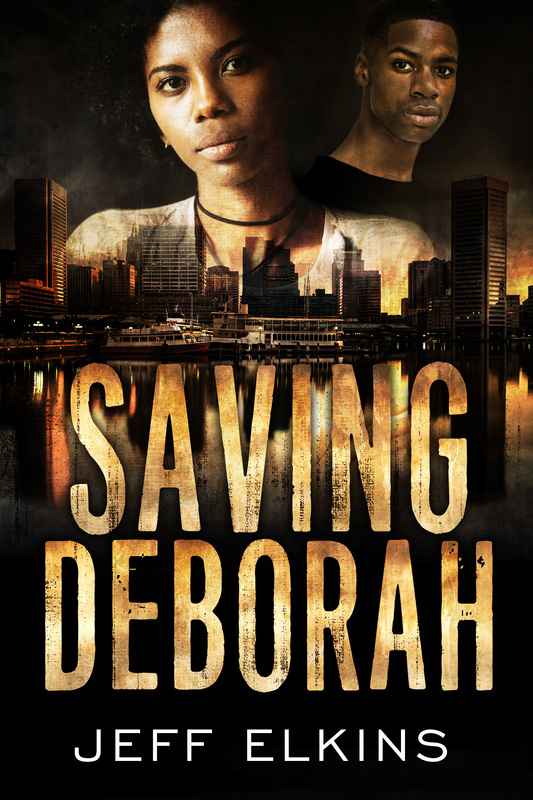 Saving Deborah will be released in the Spring of 2018. Don’t want to wait? Check out the rest of the series by clicking here. Or get the first book in the series for free by clicking here. Next Next post: The Great Spring Giveaway!